If using superfast PCs to run engineering or high-performance applications is a costly headache, move it to the cloud. That’s the pitch made by Amazon Web Services with its AppStream 2.0 application streaming service, which now has GPUs to render high-end graphics via the cloud. Using AppStream 2.0 is like using a remote desktop, with applications delivered from Amazon’s AWS cloud instead of on-premise servers. Apps streamed from AppStream will run in HTML5 browsers. There are advantages to the service — it’ll work on Windows and Linux PCs or Chromebooks, and there’s no need to buy expensive hardware. 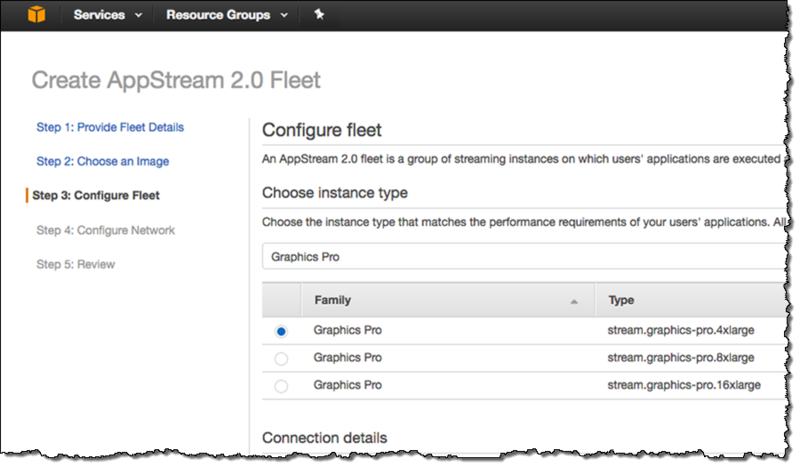 Amazon is adding GPU instances to AppStream 2.0 to support software that can chew up a lot of horsepower. GPUs have grown from handling games to running high-performance applications, visualization, rendering and simulation. AppStream 2.0 harnesses the joint computing power of CPUs and GPUs on cloud servers to deliver virtual instances of Windows 2012 R2 OS applications deployed in the AWS cloud. A GPU in the cloud service still requires a good PC on the client side. 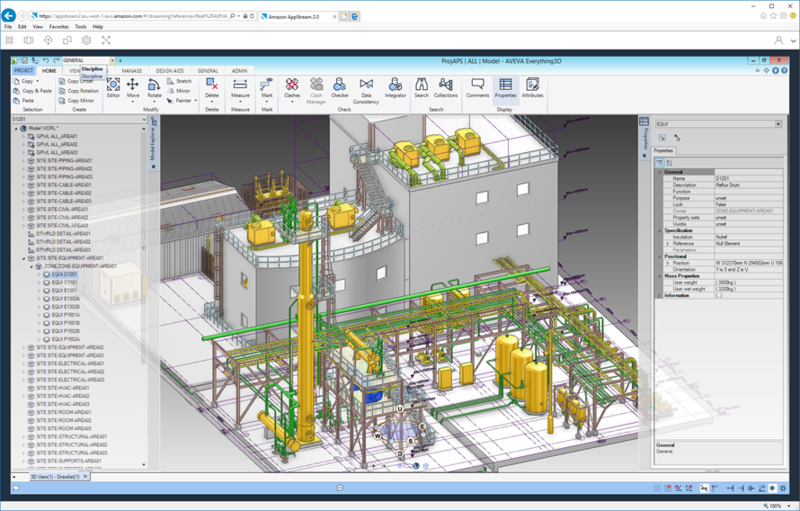 Most engineers involved in graphics and design will likely have powerful GPUs on their PCs, in which case AppStream 2.0 acts as a conduit for a team to collaborate on projects. Amazon has done its best to lighten the load of streaming graphics by using Nice Software’s DCV (Desktop Cloud Visualization) technology to avoid bottlenecks. The protocol virtualizes graphics and breaks down pixels for delivery to multiple cloud clients. Putting GPUs in the cloud isn’t new. Facebook, Google, Amazon and Microsoft are using graphics processors to speed up and charge a premium for cloud services. Microsoft is also using FPGAs (field programmable gate arrays) to speed up Cortana, Bing and its other homegrown services. Lately, GPU sales have been on a tear thanks to the ability to mine cryptocurrency. Nvidia, which is the main supplier of GPUs to Amazon for AppStream 2.0, has a grand plan to deliver gaming to PCs and TVs via cloud servers. Nvidia’s GRID servers are built for that purpose and can be equipped with dozens of graphics processors. Some examples of the AppStream 2.0 GPU acceleration were provided by Amazon: Nissan used it for automotive design and Cornell University used it to run Autodesk software. Depending on the AppStream service you buy, the cloud service will support frameworks that include CUDA and OpenCL, which are used for graphics and high-performance applications, and DirectX and OpenGL, which are mostly for graphics. The AppStream 2.0 GPU offerings include the entry-level “Graphics Desktop” package, in which instances are equipped 15GB of memory and eight virtual CPUs, and the price starts at $0.50 per hour. A beefier “Graphics Pro” can run high-performance applications, and comes with up to 488GB of memory and 64 virtual CPUs, and its price starts at $2.05 per hour. The Graphics Pro package is based on Amazon’s recent GPU-based EC2 G3 instances based on Nvidia’s Tesla M60 GPUs, an upgrade from the G2 type. The Tesla M60 is an old GPU based on the Maxwell architecture, but still delivers single-point floating point performance of up to 10 TFLOPs. Nvidia has since released new GPUs based on the Pascal architecture, which could appear in upgrades to the AppStream graphics streaming service. The service is available now. Amazon says its graphics streaming instance families are available via the US East (Northern Virginia), US West (Oregon), European Union (Ireland), and Asia Pacific (Tokyo) regions. 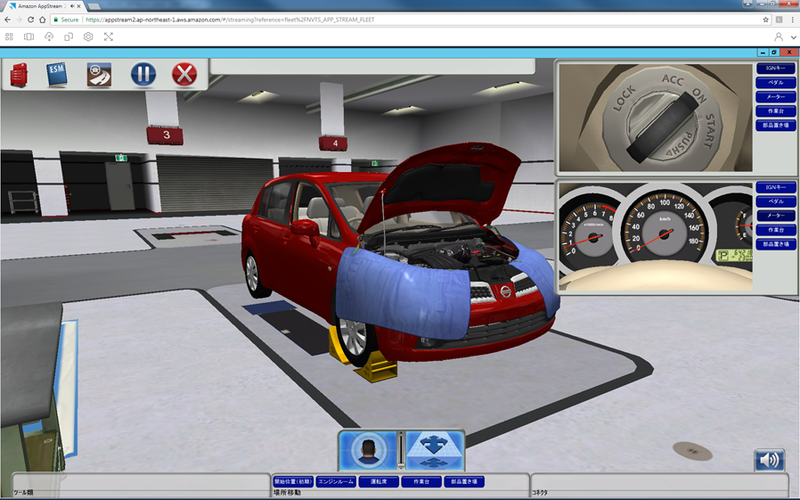 Feature image: AVEVA’s Everything 3D app, delivered to users’ browsers via AppStream.